Last Wednesday, Michela Meo from Politecnico di Torino paid a visit to Ecole Polytechnique – she was in town for, in her own words, “one of the small research-related things I still get to do” … a somewhat intimidating statement, given that she was in Paris for ICC, one of the major conferences in my field of research. I was, of course, familiar with Michela’s work – we share several scientific interests, for example in the Smart Grid and Connected Energy space – but I believe that this was the first time that we met face to face, and was grateful for her coming to visit us on campus to remedy that. 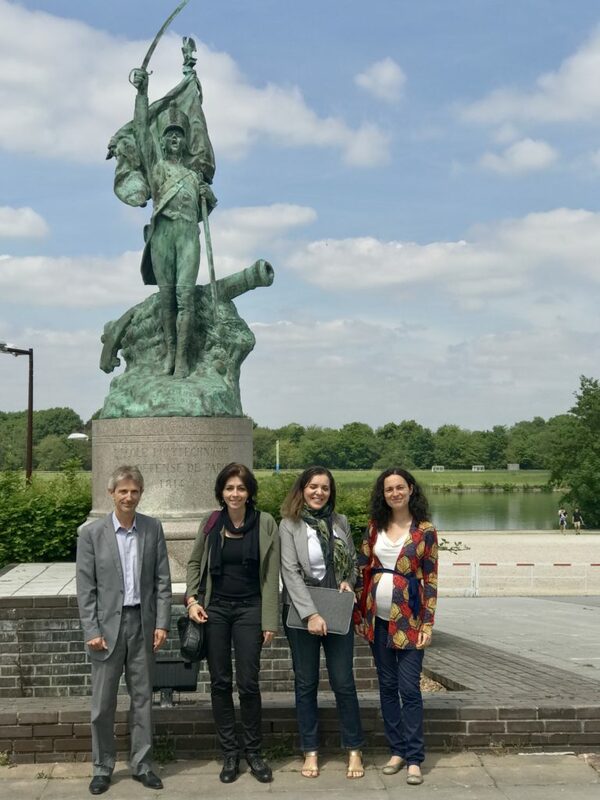 With also my colleagues Elena Mure (an Italian), Claudia d’Ambrosio (another Italian) and Eric Goubault, we had a great discussion about potential student/faculty exchanges, and joint research ideas and perspectives. It is the trademark of a meeting being constructive when you regret it coming to its end: we could have talked for hours more with Michela,, and I would have loved to also “talk deep science” with Michela — but, she had to head back to chair a session at ICC, then home to Torino. We left with an appointment to talk again soon – which I am looking greatly forward to.